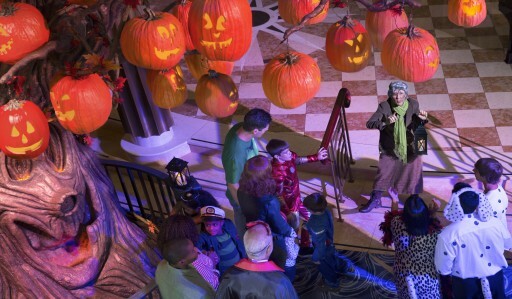 When you set sail on a Disney Cruise Line voyage this fall, you’ll enjoy a spooktacular good time as the ships transform into a haunted wonderland! 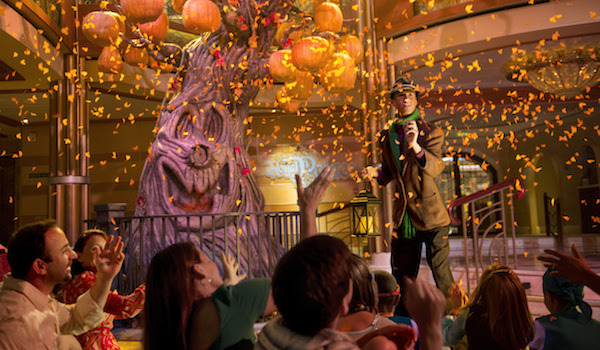 Many spooky ghoulish events are planned to celebrate Halloween on the High Seas as only Disney can. There’s a spooky costume contest for adult guests, and a special costume parade for the kids. From spellbinding storytelling, fun filled family entertainment, and of course yummy treats fit for a mummy, the Halloween on the High Seas voyages are truly enchanting! There’s even a special Halloween Tree that transforms through out the duration of the trip! You can dive right into the special Halloween celebration by bringing along your own costume! As long as your costume doesn’t involve any items not allowed on board, you can be as creative or spooky as you like. Travel Agents and Guests with bookings on these sail dates will be sent an email notification advising of these ghoulishly fun activities. Your Clients can discover additional information on themed nights, times and locations in the Personal Navigator, available onboard.